Make it clear that your loan offer is not coming from the government your company is not a governmental agency. Make it clear that your loan must be owned by Fannie Mae or Freddie Mac in order to qualify for the HARP program. 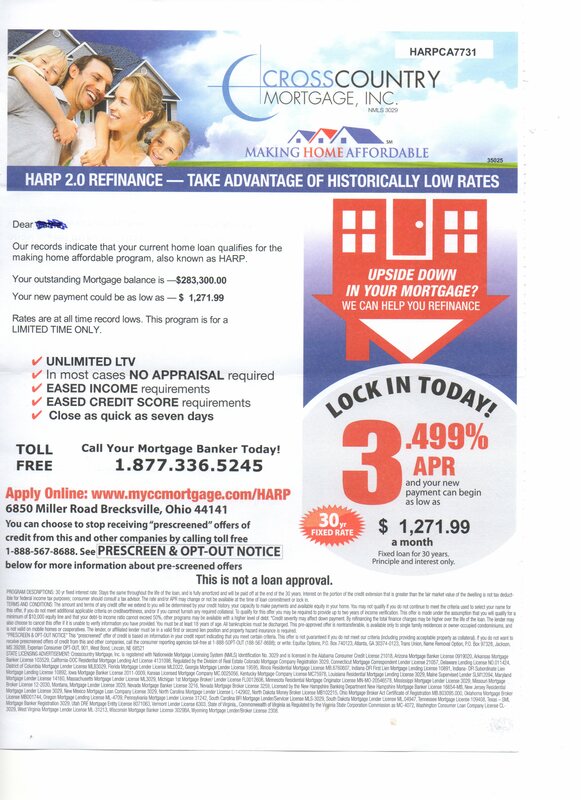 www.advertiseyourloans.com does not comment about the suitability of the compliance disclosures made in this mailer piece and have included this solely as an example of a HARP mailer that we encountered.